Metaio, a leading developer of augmented reality technology, has been working on a way to make it easier for companies to develop augmented reality campaigns. Earlier this year, the company introduced the Metaio Creator, which simplified the process significantly. Now, Metaio has introduced the Metaio Cloud, which aims to streamline management of augmented reality content across a vast network of mobile applications, ideal for businesses that have a wide reach when it comes to consumers. Augmented reality is quickly becoming a very popular and powerful marketing tool. Tech-savvy consumers have praised the technology because of its ability to provide them with dynamic content. Mobile applications that incorporate augmented reality in some way often manage to attract aggressive attention from consumers. In the past, it has been difficult for businesses to keep track of the wide range of augmented reality content they provide to consumers. The Metaio Cloud aims to solve this problem by making management much simpler. Metaio is well aware than not everyone is a professional programmer. This does not stop some companies from adopting augmented reality, however, and Metaio is keen to ensure that consumers have a positive experience with the technology no matter which company is making use of it. 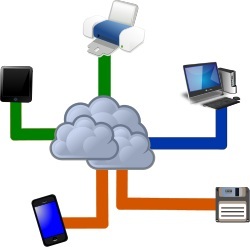 The Metaio Cloud allows businesses to take advantage of a cloud computing network, which can be quickly accessed to pull resources into an application or other type of platform. The Metaio Cloud allows augmented reality content to be changed and pushed to consumers in real-time without having to submit updates to existing applications to various app stores. Metaio is not the only player in the augmented reality space that is working on making the technology more accessible to businesses. Qualcomm also has a platform called Vuforia that helps simplify augmented reality content for businesses and consumers. Qualcomm recently introduced a new update to its Vuforia SDK that allows for cloud-based image recognition features for mobile applications developed using the platform.